I love chicken salad. This dish was inspired by the Napa chicken salad from Panera, which imparts just the right amount of sweetness, thanks to the addition of almonds and sliced grapes. I don't believe in preparing a separate meal for my children (well, only one is eating so far), or letting them order off the kids' menu. I think it's important that your children have exposure to spices and seasonings. 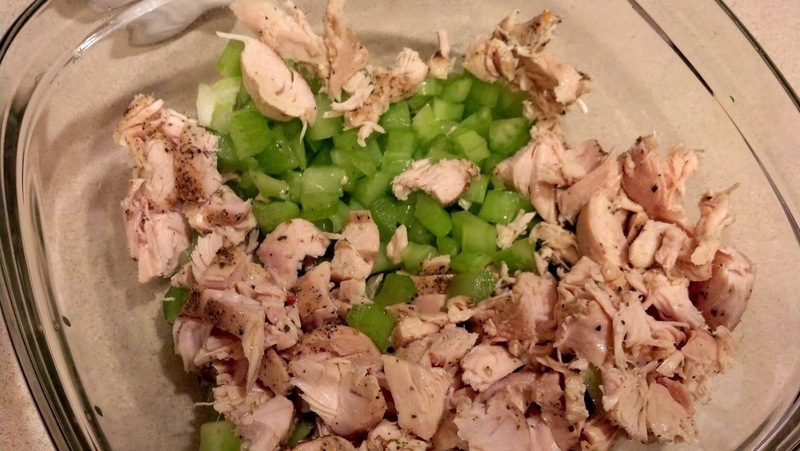 If you have a picky eater, I suggest putting some plain chicken aside before adding the mayonnaise dressing. 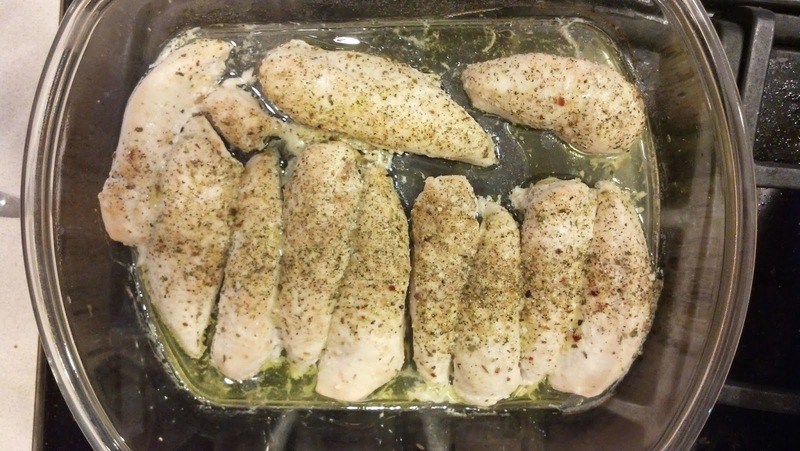 Arrange the chicken in a pyrex dish, or similar, and sprinkle with some olive oil and the spices. Bake uncovered in a 425 °F oven for approximately 18 minutes. Shred the chicken in the dish and let it sit in its juices to cool while preparing the potatoes. Do not drain the liquid, as you will be using it in the chicken salad. Do not turn off the oven. Simply Organic "Grind to a salt"
Increase oven temp to 450 °F. Chop potatoes into approx. 1" pieces and place in bowl. Drizzle with olive oil; be sure they are completely coated. 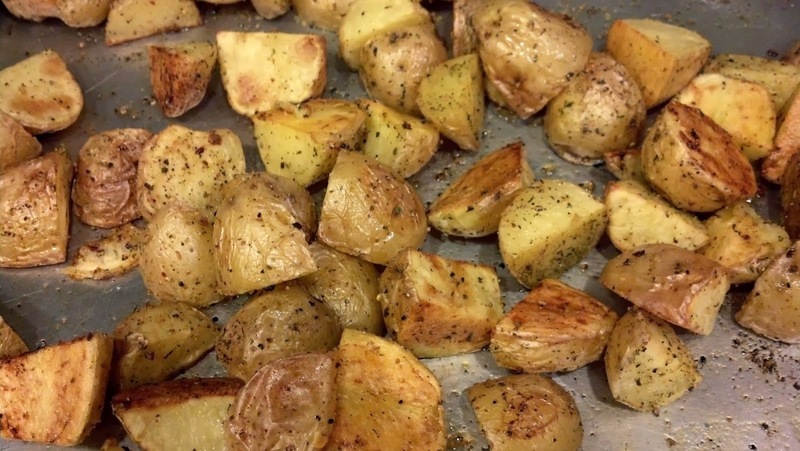 Spread potatoes on baking sheet and season them. I usually season them quite generously. Bake uncovered for approximately 20 minutes, or until they begin to brown and make a light whistling sound as they puff. Let them rest while you prepare the mayonnaise dressing for the chicken. Mix the chicken and juices together with the mayonnaise dressing, the diced celery and optionally the almonds and/ chopped cranberries. 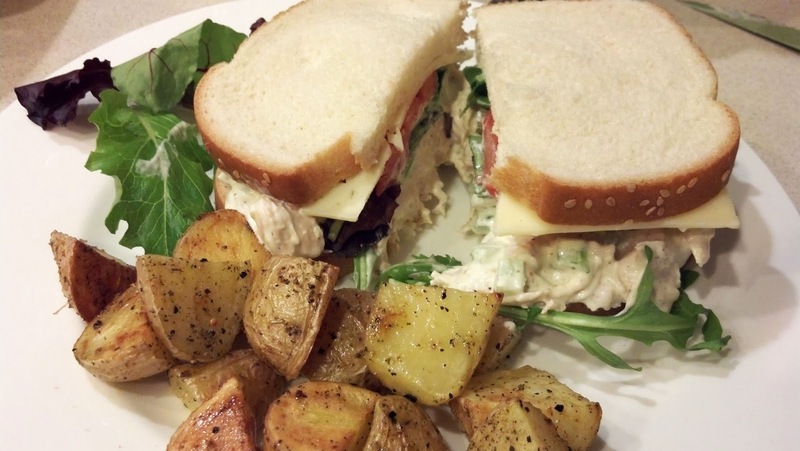 Layer the chicken salad on sandwich bread with field mix, sliced tomato and cheese, and sliced red grapes. This is a really quick and easy meal, and it covers all of the food groups. 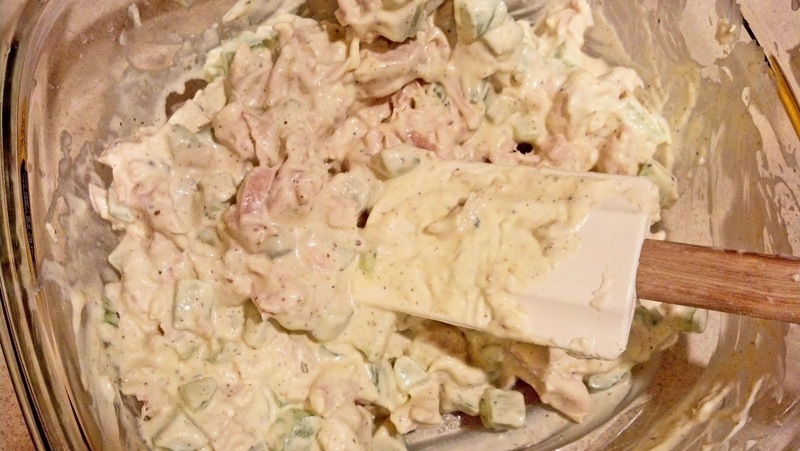 You can double the chicken salad recipe, as it keeps very well in the refrigerator for 3 or 4 days. It also works quite well topped on a garden salad, as a low carb option to using bread. Feeds 4. * This recipe works well for lobster rolls too- chopped lobster, mayonnaise dressing, diced celery on a roll spread with melted butter.